Functionality in the kitchen should always come first. With making meals and eating, you need to maximize the space. Otherwise, one of the most important rooms in the house will be the most frustrating. Of course, this doesn’t mean that the kitchen should be lacking of personality. Like every other room, it needs to pop and sizzle with character. Sadly, homeowners take the substance over style mantra too seriously and lots of kitchens end up being boring. If you don’t want to happen, you may want to consider these tips which will help you add a sense of character while maintaining functionality. Traditionally, adding your personality to a room without making structural changes is difficult. The good news is it isn’t impossible with a few tins of paint. Kitchens are boring because they are bland. A splash of color will fix this issue straight away because the right color will make the room exciting. And, all you need to do is throw the paint on the walls or the cabinets for maximum effect. To go one step further, use accessories to your advantage. HGTV reckons brightly colored towels and potholders are just as useful. A splash of color can only go so far. To make the room seem less bare, you need to cover the wide, open spaces. There are lots of ways to do this, but a selection of artwork is one of the best options. For starters, it is big and bulky enough to take up a significant amount of room without being too large. More importantly, the artwork that you choose reflects your tastes. 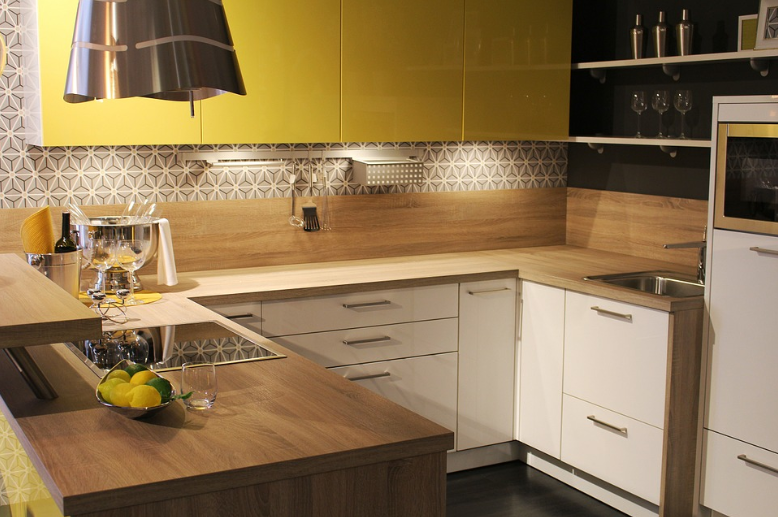 There is no better way to add personality to a kitchen than with individual flavors. If you like to draw or paint, you can use them instead of buying artwork from a gallery. In truth, there is only so much you can do without making structural changes. To make the kitchen wow, a renovation is in order. Of course, it is tempting to pick a bog standard version and install it as soon as possible. However, this will only ensure your kitchen is the same as everyone else’s on the block. Rather than be a sheep, be a shepherd. Thanks to Complete Kitchens Kitchen Designs, it isn’t hard to find an individual model. Then, with a few tweaks, the room will be unique and full of character. The light fixtures can transform a kitchen into something special. The key is to make them adjustable so that they fit any environment. For example, spotlights are an excellent choice because you can turn the light up or down depending on the situation. Or, a chandelier works well because it has a soft, warm glow which creates an elegant atmosphere. Also, don’t forget to introduce ambient lighting in the shape of lamps. If the primary light is too bright, you can always switch the lamps on and turn the main light off. With these tips, your kitchen can’t fail to be charismatic.